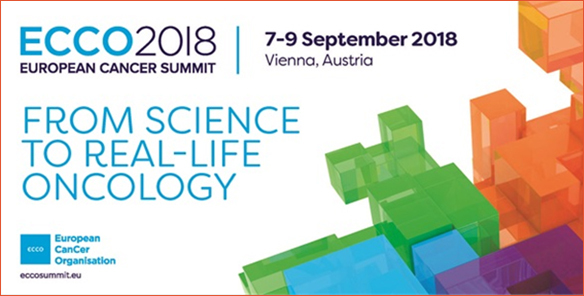 The ECCO 2018 European Cancer Summit will take place on 7-9 September 2018 in Vienna providing a focal point for resolution on the burning matters affecting access to high quality cancer care for patients across Europe. Registration for the Summit is now open at www.eccosummit.eu. HOW CAN WE IMPROVE THE QUALITY OF CARE PROVIDED TO CANCER PATIENTS IN EUROPE? EACR-OECI Conference "Making it Personal: Cancer Precision Medicine"
How uniform is cancer care in Europe? 2nd EACR-OECI Joint Training Course "Molecular PATHOLOGY approach to cancer"
Conference of the Romanian division of IAP "The pathobiology and molecular biology of tumors"
Accreditation Workshops : "2007 OECI training programme accreditation of european comprehensive cancer centres"